It was Elenor on the phone, a dear woman who was part of our congregation in our first church. Her own children and grandchildren lived far away, and her daughter was married to a pastor, so she felt a certain kinship for us, and we for her. Okay…I thought. I got directions to her house, and before I knew it, I was leaving with a pot of homemade ham and bean soup, slabs of cornbread, and a container of rice pudding. I didn’t even think I liked ham and bean soup, but I graciously accepted the offer. The food smelled so incredible and we were both so exhausted and hungry from the move and new experiences, we literally inhaled the soup, sopping up the bowls with the cornbread. And the rice pudding?…. mmmm, heavenly. So, this was Elenor. So when Elenor called that day and said she had my dinner, but that I should go ahead and make something, I wasn’t sure what to expect — but one never did with Elenor. Soon the doorbell rang, and in she came, with a small paper bag in her hand. She greeted the kids and giggled as she set the bag on the dining room table. “Here’s your dinner!” She laughed. 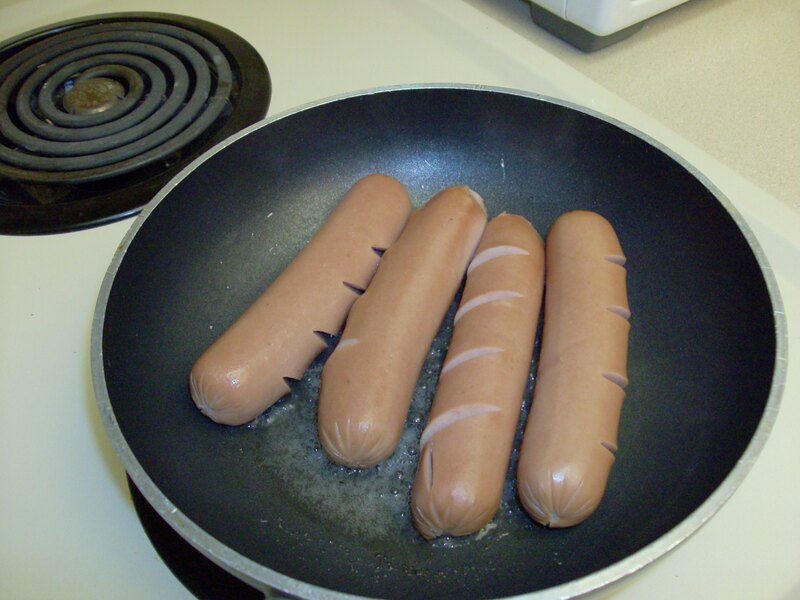 To this day, I can’t make hot dogs without thinking of Elenor. I feel bad for that pastor’s wife who had been so poor she’d had to eat ‘wiener water soup.’ Obviously, she’d never had an angel like Elenor to take care of her.